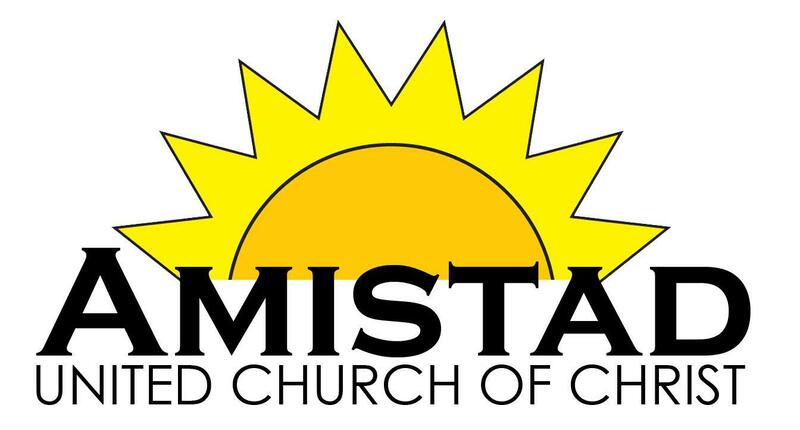 Amistad UCC is a multi-racial, multi-cultural, Christ-centered community of faith in Hartford, Connecticut. Led by persons of color, Amistad is committed to the inclusion of all people regardless of age, color, gender, sexual orientation or social class. The church is named for the African captives who found freedom after staging a revolt aboard the ship Amistad in 1839. Our mission is to foster that same freedom within and among our parishioners by providing an open, affirming and safe space for all to come together for faith and friendship. Amistad was founded in November, 2001 by The Reverend John L. Selders, Jr. At the time, it was one of two Protestant churches in Hartford’s Southend, arising from Reverend Selders’ vision for a relevant community of faith that is committed to the area’s diverse population and fosters social, racial and economic justice from urban perspectives. Amistad’s first worship service was held on Sunday evening, November 4, 2001 at the Broadview Community Church in the Southend. Nine people were in attendance. One year later at the first anniversary observance, 80 people joined in worship and celebration. The congregation remained meeting at 6:00 pm, Sunday evenings until the spring of 2005 when an invitation came to share space with another sister congregation, Elmwood Community Church, shifting worship time from 6 pm to 1 pm Sunday afternoons. Akin to all beginnings, there are acts of faith and courage that come before us. Amistad UCC’s beginning has a story in much the same way. Imani Fellowship Community Church was gathered as a community of God on April 30, 1995. Under the leading of the Holy Spirit a number of sisters and brothers who had recently left Faith Congregational Church gathered at the Conference Center of the Connecticut Conference, UCC. to discern why they had been called out of Faith, and to hearken to the voice of the Lord as they sought new direction. The Reverend Carmen Wooster administered the service of the Word. Feeling that God was indeed calling them forth to be witnesses of Christ in a new community, many of the sisters and brothers gathered there that morning resolved to form themselves into a church. Through the faithful and diligent commitment of many, Imani Fellowship Community Church persevered with The Reverend Dr. William J. Butler, The Reverend Dr. Stephen G. Ray Jr. and The Reverend Selena L. Blackwell serving as pastor. In January 2003, the congregation agreed formally to join with Amistad UCC becoming one congregation. It’s with great joy and enthusiasm that we embrace God’s call and direction for our lives in service to humanity. We are honor to be on this freedom journey together, children of the Almighty under the banner of Amistad United Church of Christ. As the church family grows, we look forward to finding a permanent home of our own. Amistad UCC also remains in fellowship with Selders Inclusive fellowship of ministers, churches and ministries, known as the Interdenominational Conference of Liberation Congregations & Ministries, Inc., (ICLCM). Bishop Selders is a member of the College of Bishops of The Fellowship of Affirming Ministries (TFAM), with Presiding Bishop Yvette Flunder, Presiding Bishop, in leadership of the Freedom Assemblies Worldwide with Bishop Edward Donalson, III and as a co-convener of The Sacred College of Progressive Episcopates. Since the fall of 2011, Amistad UCC has been the resident congregation at Hartford Seminary, holding Sunday worship services in the Chapel of Hartford Seminary. Bishop Selders is 3rd Generation Clergy and Founding/Organizing Pastor of Amistad Church-Hartford.